Scottsdale, Arizona (July 25th, 2017) – Los Angeles Broadcasting Pioneer Art Aston was a man known for many things. A dedicated businessman, loving father and grandfather and first-rate soldier, Art was also known for his incredible devotion to the automobile. 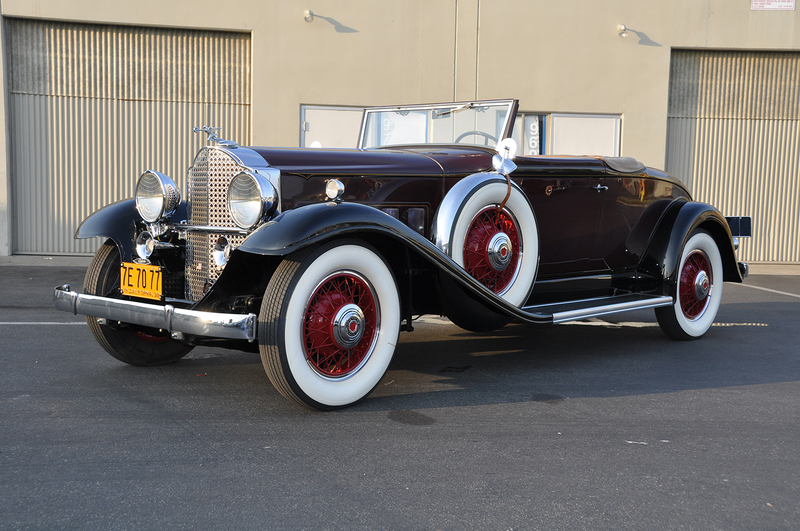 For 1932, one of the most attractive Packard’s in the Series 902 was the Coupe Roadster. A new top design allowed it to be folded flat into the body, which when down provided the Coupe Roadster with a fluid, graceful appearance. All the Packard Coupe Roadster models were fitted with a rumbleseat. 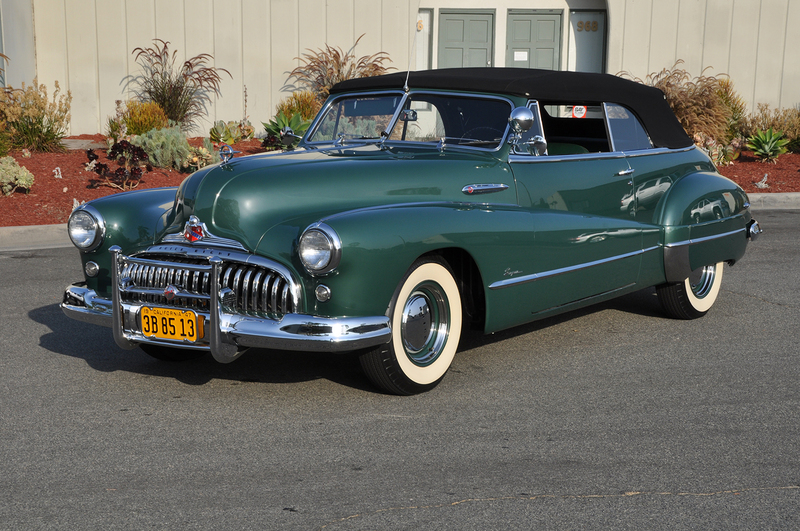 With a list price ranging from $2,650 to $2,850, wire wheels were standard. The 319.2-cid Standard Eight inline engine produced 110 horsepower. 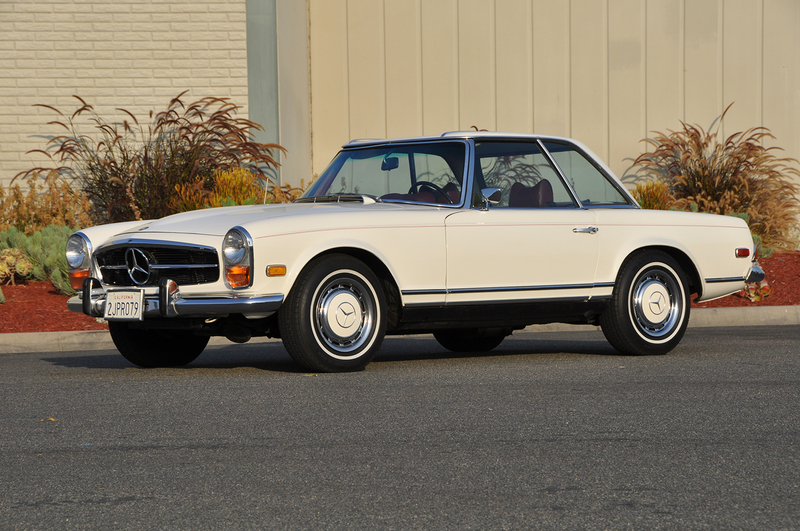 The Mercedes-Benz 280 SL was introduced at the 1963 Geneva Motor Show, and was produced from 1963 through 1971. It replaced both the legendary 300 SL and the 190 SL. Of the 48,912 produced the majority were destined for the US. Often referred to as Pagodas due to the distinctive slightly concave hardtop, this example, is finished in white with a red leather interior. It has the 4-speed manual transmission and has recently prepared for the road. The tradition of the legendary 300 SL continues with this fabulous example of a 280 SL. 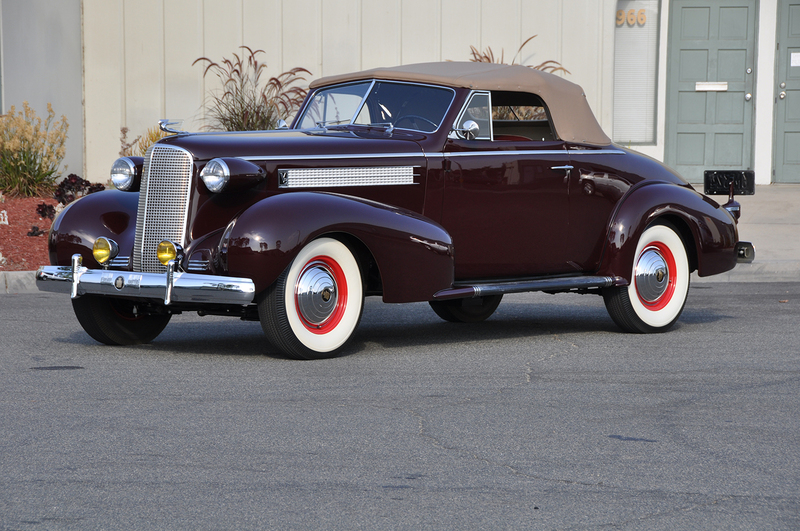 This well maintained 1937 Cadillac Convertible coupe is from the famed Art Astor collection. It is powered by a 346 flathead V8 that produces 135 horsepower. It has been recently serviced and driven where it was reported that it started easily and drove smoothly. 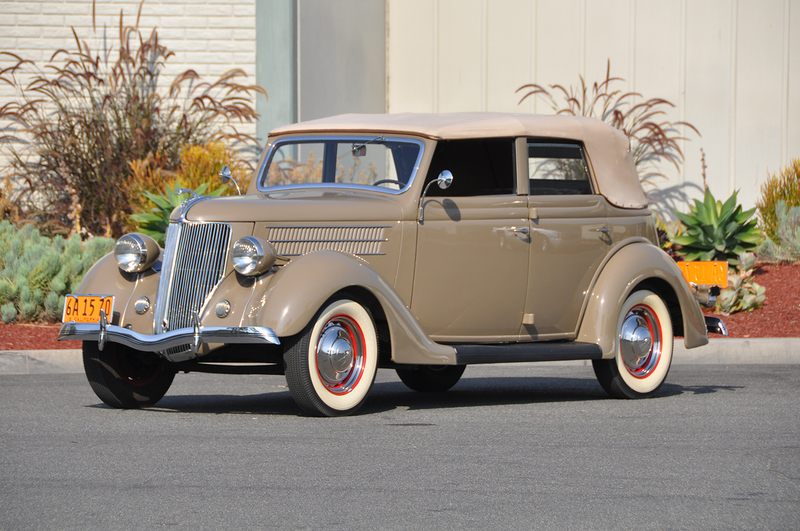 It has the rare combination of a rumble seat and rear trunk. The tan top is in good order and it is equipped with fog lights, white walls and Goddess hood ornament. The E-Type was based on Jaguar’s D-Type racing car, which had won the 24 Hours of Le Mans for three consecutive years. This Series III is finished in British Racing Green and is fitted with striking chrome wire wheels. The body is straight and solid and the interior sparkles. The black leather seating is in good order and the engine is clean and tidy. 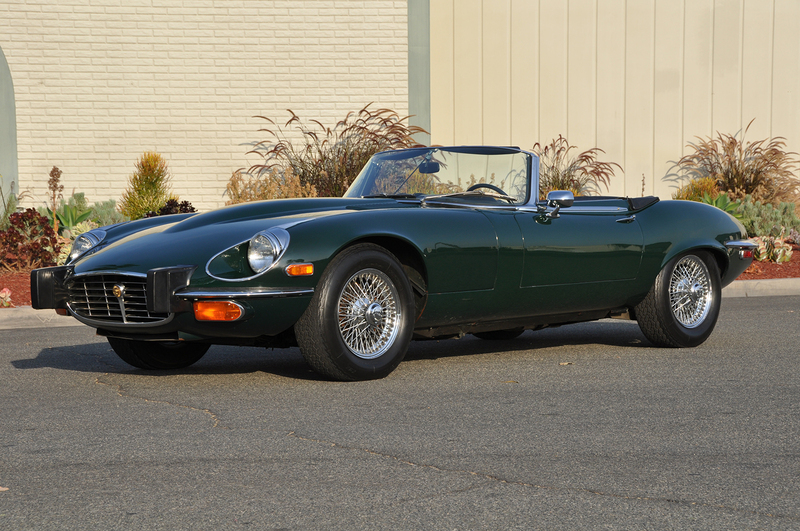 Recently serviced this stunning Jaguar XKE is ready for the road or presentation at the next All British Field Meet. This triple-tan Convertible Sedan offers V8 performance from an engine that is properly detailed. It is clean and tidy with no leaks or fluid leaks evident. The tan top is in good order as is the tan fabric interior. The paint work, while older, is almost flawless and complements the car. it is set-off with white wall tires. It starts easily and runs smoothly. The Convertible Sedan has the new integrated trunk back design. 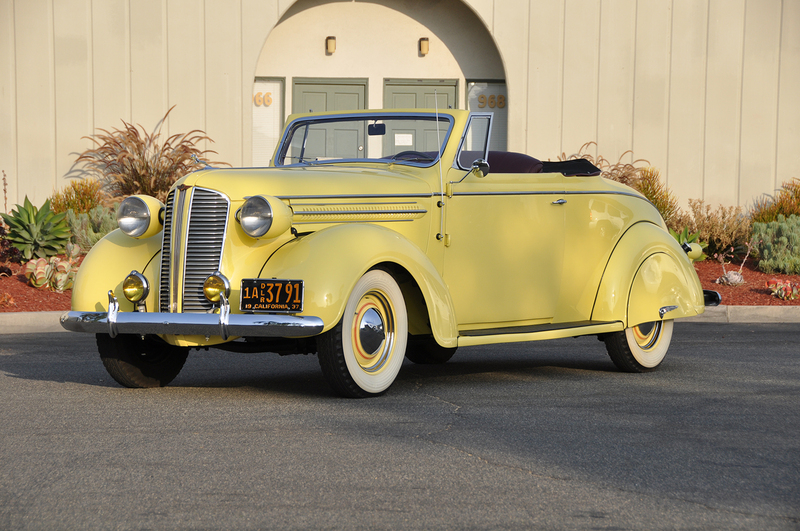 This 1937 Dodge Convertible is one of only 1345 produced and it is thought that only a dozen or so remain today. It is powered by a 217 horsepower I-6 motor that produces 87 horsepower. The interior is finished in red leather that is in excellent condition with no issues noted. It is fitted with fender skirts and fog lights. A very unusual and rare convertible that has recently been serviced and is ready for exciting touring. 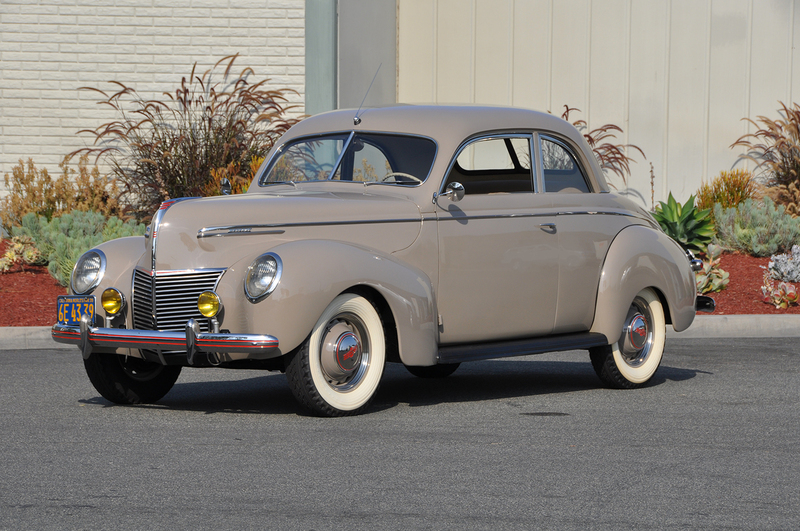 The 1939 Mercury V8 was the first in the Ford product line. 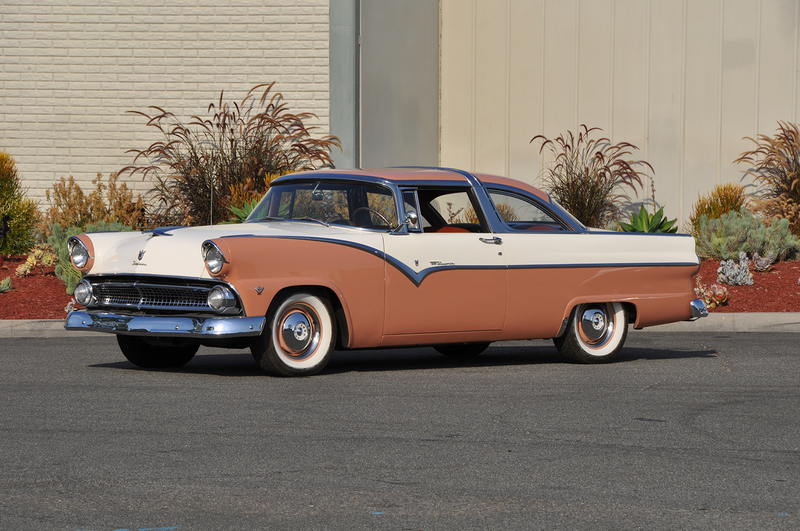 It was produced at the insistence of Edsel Ford who realized Ford needed a product that filled the $500 gap between the Ford Deluxe and the Lincoln Zephyr. It was priced at $934 and featured a 95-horsepower flathead V8 motor. The body is straight and solid and the paint is in excellent condition. An excellent example of a “first” Mercury. The 1955 Ford Fairlane Crown Victoria was the top trim level for 1955 and included chrome window and “A” pillar moldings. It was easily recognized by the “Tiara” roof trim. It was powered by a 272 cubic inch V8 that produced 162 horsepower. This well cared for example has recently been serviced and is reported to run smoothly and be a treat to drive. The unusual color brown paint sparkles and the chrome and other trim is in excellent condition. 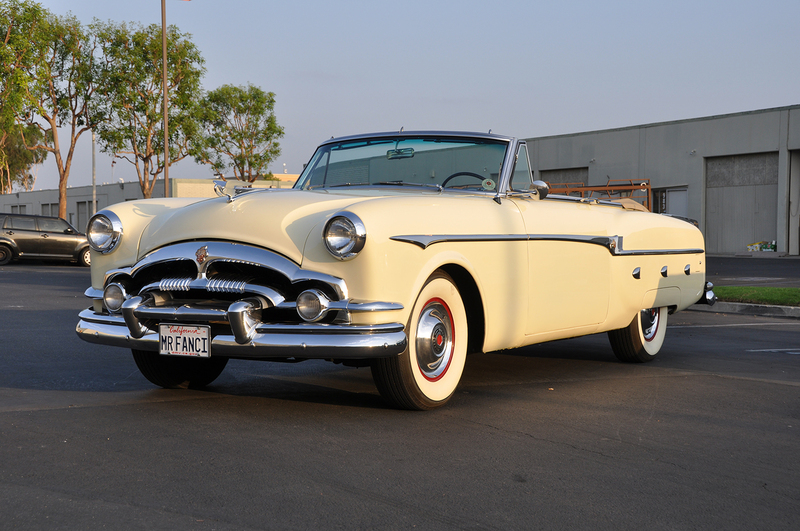 The striking 1953 Packard Custom Convertible was based on the Pan American show car and did not appear until mid-year. it was priced at an impressive $5210. Only 750 left dealer showrooms. It was powered by a 327-cubic inch I-8 motor that produced 180 horsepower. This example has been restored to a high standard and presents well. The red leather interior is in good order and the dash plastic is not scratched or chipped. Truly an impressive automobile. Experience all the high energy excitement of Russo and Steele in Monterey for yourself! Bidder registration is just $200 and includes admission for all 3 days of “Auction in the Round” action for the bidder and one lucky guest. Stay tuned for further updates on our 17th annual Monterey auction and event schedule and join us for the Hottest Nights in Monterey August 17-19 on the waterfront near historic Fisherman’s Wharf!